Maintain consistent color coding of wiring. I prefer red/green for track power and blue/white for accessories. The colors don’t matter as long as you are consistent. 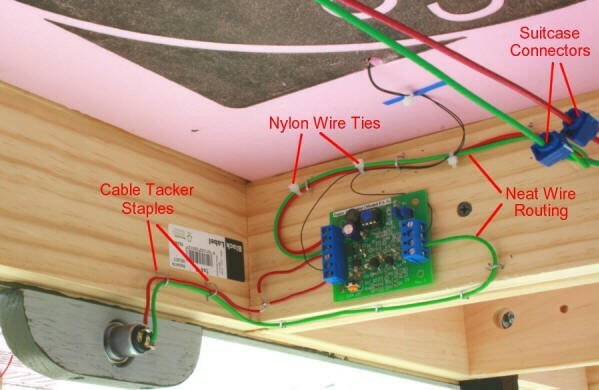 Sticking to a program of neatness and organization with your wiring will make life easier down the road. Nylon cable ties (left) and cable tackers (right) make it a snap to keep your cable runs neat. Both items are available at Home Depot. Try to keep your cable runs straight and organized. 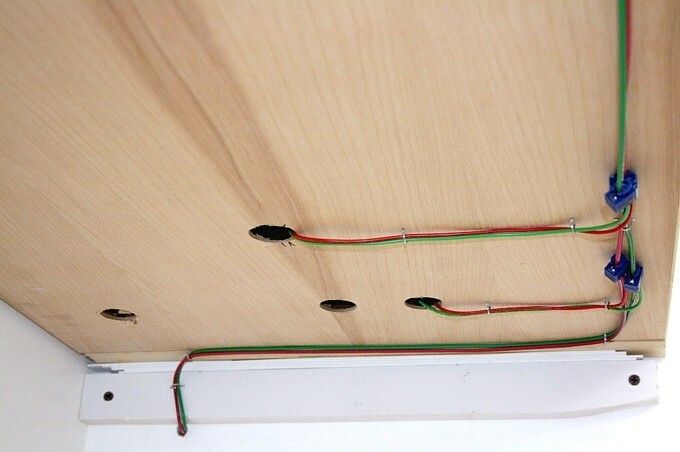 Tack all wiring up under the layout with a cable tacker.